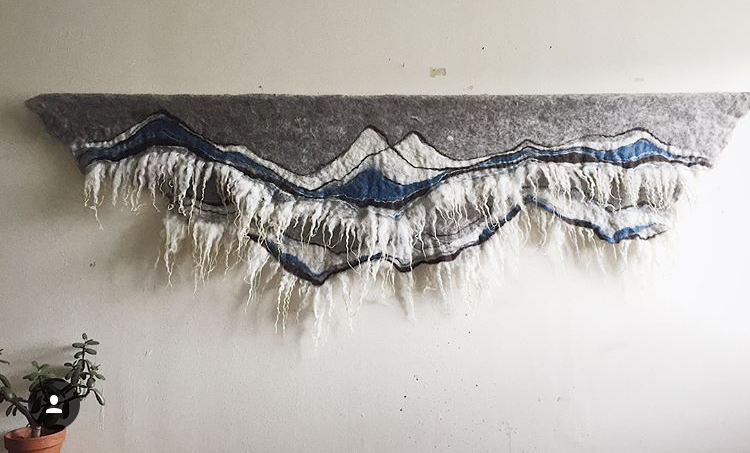 The work of Fiber Artist, Meghan Purcell, and Photographer, Lauren Lipscomb, is cultivated through the ideals of sustainable and intentional practices. 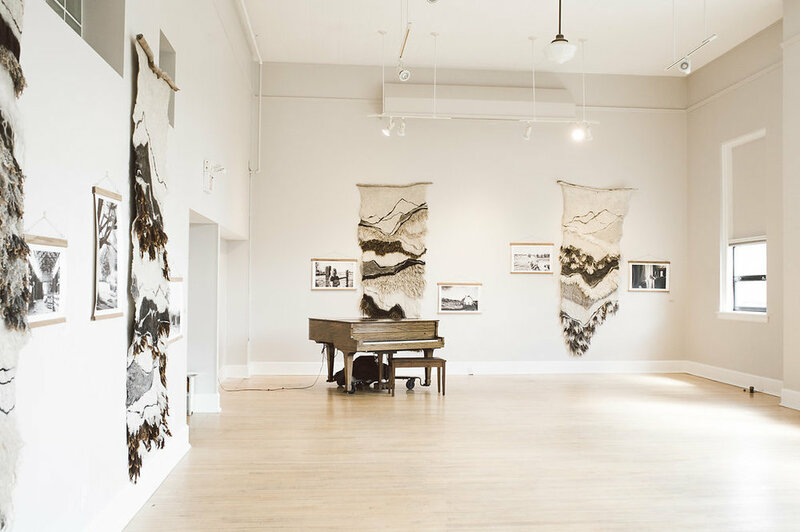 Shaped from a collective vision, Behind the Wool emerged as an artistic collaboration and investigation into the challenges Montana sheep farmers face in present times. 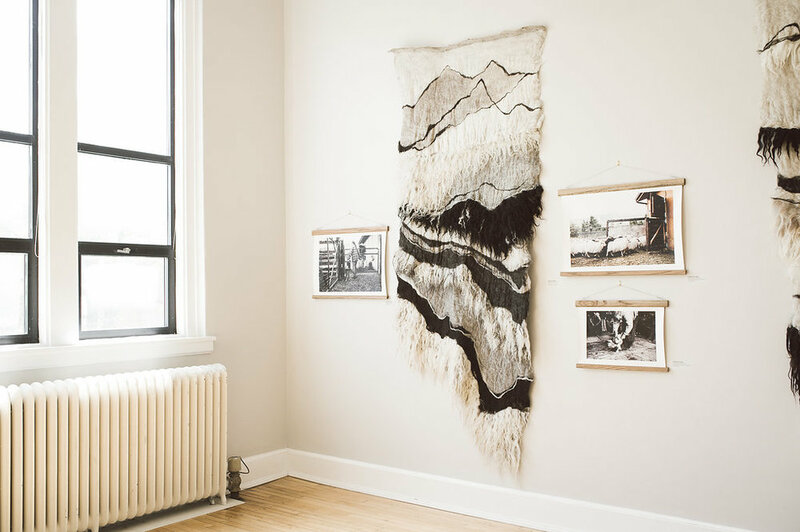 With cooperation from six local farmers, this vision developed into an opportunity to understand their personal efforts and involvement to combat these struggles, as well as the adaptations deemed necessary to preserve and sustain Montana sheep ranching. 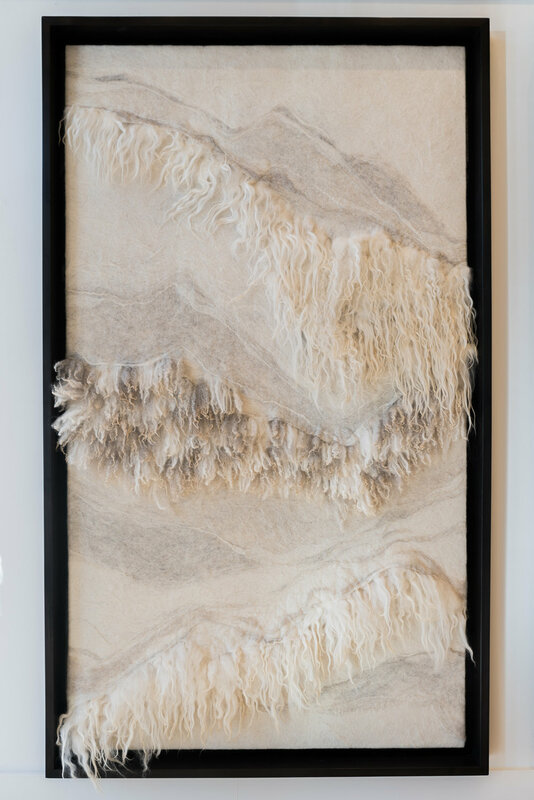 Inspired from each ranch visit, Meghan Purcell constructed hand-felted panels from each individual farms’ varying breeds of wool. During these meetings, Lauren Lipscomb photographically documented an intimate look into the life of each rancher, focusing on the unique and diverse nature of each of these ranchers and their farms. While each farm maintains a standard of ethical values, the structure of their practices and outward involvement was beautifully reflective of their individual, personal natures. 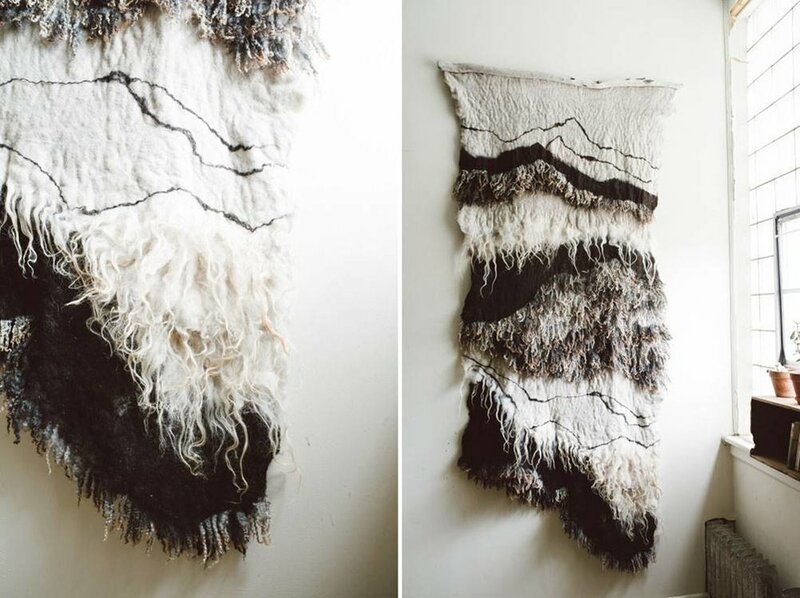 Each have faced obstacles ranging from land development, harsh climate fluctuations, challenges within breeds, feed inflation, water rights, the limited resources for wool processing and manufacturing, to the many idiosyncrasies involved in the ‘Organic’ circuit. However, these issues seemed to be discussed as merely facts rather than deterrents. Their sense of pride for their work, for their life, is palpable. They each hold a deep love for the animals they shepherd in this world, committed to evolving their land, flocks and resources. These farmers show no sign of stepping down or selling off for an easier way of life, but are looking to the future for ways to sustain. Our sincere thanks go to each rancher involved in making this project possible. We greatly appreciate the opportunity to expand our understanding of all the intricacies involved with producing this viable and healthy animal resource. Thank you for all of your hard work and conscious efforts to make Montana a better place for all.